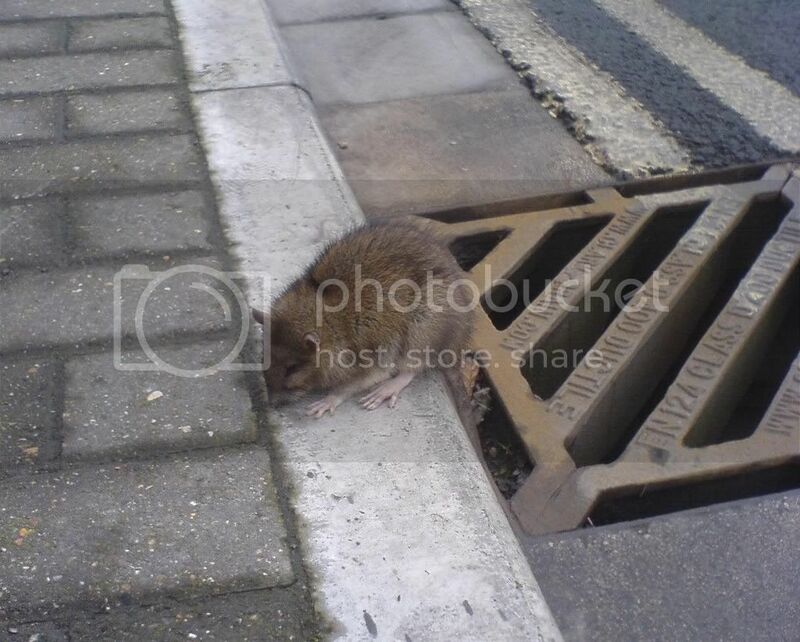 Saw this rat in town, 3 O’clock-ish, just sat there, on the kerb with its’ eyes closed. Dunno if it was dieing or just taking a break. Probably dieing cos it’d never be catching 40 winks out in the open otherwise. You are currently browsing entries tagged with odds and sods at Sim-O.